American Century Transport is a world class vehicle logistic provider with decades of experience in global shipping of vehicles. We ship vehicles across the country as well as around the world. We have a massive fleet of reliable trucks, trailers and containers that allows us to offer pick up and door to door deliveries across local and international locations. 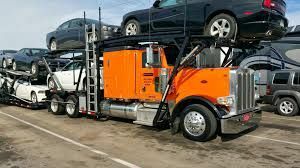 We have a collaboration of successful and reliable auto transport partners specialized in all kinds of vehicle shipping services. It allows us to offer highly competitive packages with attractive and low prices and high quality services. With years of experience in automobile transport industry, we offer specialized customs clearance and services in order to facilitate a smooth transition of your vehicle across the border.